Author and clinical psychologist Mary Kennedy says she’s tried without success to psychoanalyze both her husband and their six neurotic cats. With a background like that, it seems fitting that she should write a mystery series in which characters meet to discuss the meanings of their dreams. Of course, I was intrigued by the idea. Who hasn’t listened to a friend describe a dream and felt a fascination at the sudden glimpse into his or her subconscious? 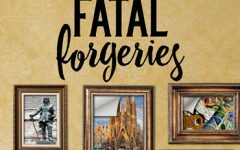 I expected to enjoy A PREMONITION OF MURDER, and I wasn’t disappointed. 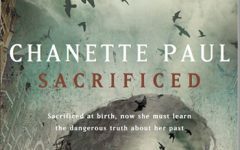 The characters are charming, and the author’s background in psychology gives her unique insight into her characters and their motivations. 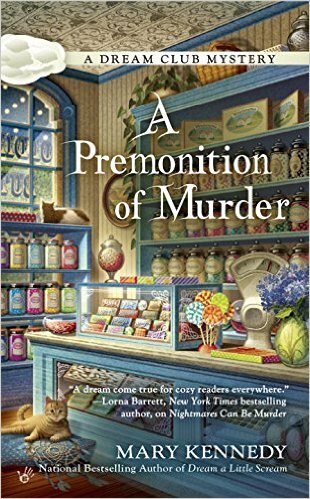 Mary has agreed to talk to The Big Thrill about her latest book, A PREMONITION OF MURDER. Thanks for joining us today, Mary. Let’s start with a little background. What was the first thriller you ever read, and what about it made it memorable? I began my love affair with mysteries by reading Nancy Drew and then graduated to Agatha Christie. There’s something captivating about writing (and reading) mysteries. I love the complex plots, the twists and turns, the white knuckle suspense. As my dear friend Carolyn Hart says, “Writing a mystery is like solving a puzzle.” It’s a wonderful field, always intriguing and full of challenges. A PREMONITION OF MURDER is part of the Dream Club mystery series. What exactly is the Dream Club, and how did you come up with the idea for basing a mystery series on a group of women with a passion for dream interpretation? I’m a clinical psychologist in private practice and my clients love to talk about their dreams. Freud believed that dreams are the key to the unconscious and that all our hopes and fears, wishes and desires can be found by analyzing dream material. I read a piece on dream clubs and thought it would be fun to write a series about a group of Savannah women who meet once a week to share their dreams and try to interpret them. In Nightmares Can Be Murder, the first book in the series, a dance instructor is murdered right across the street from the candy shop and the club members are horrified. And then slowly, the women begin to have dreams with strange images and symbols that seem to be related to the crime. Is it a coincidence or are they really uncovering clues to the killer? I leave it to the reader to decide. What’s the most interesting thing about your main character, Taylor Blake? Taylor is very left brain, always logical and analytical, and sometimes she seems to be at odds with her impulsive, right brain sister. But Taylor is always open to new ideas and she admires Ali’s creativity. They make a good team running Oldies But Goodies, the vintage candy store. What inspired A PREMONITION OF MURDER? I saw a photo of a lovely—but desolate—Savannah mansion and I found myself wondering about the occupants. I tried to picture what it would be like living there alone in all that splendor. That’s how I came up with the character Abigail Marchand, the reclusive heiress who has a premonition about her own death. You have two other mystery series, the Hollywood Nights series and the Talk Radio series. What can you tell us about those? The Hollywood Nights series are three teen novels, originally published by Penguin and now are back as e-books. All three revolve around the movie business. They’re fun and hip, but squeaky clean. Perfect for teens or anyone who enjoys teen fiction. What do you think distinguishes your books from other mystery novels? I think I bring a sense of fun and humor to my mysteries. I really do write the kind of books I enjoy reading. How would you describe your writing process? Are you a pantser or a plotter? Do you ever get stuck? Definitely a plotter. I turn in a detailed eight-page synopsis to my editor before each book. l describe the victim and the suspects, and discuss the means, motive and opportunity for each of them to commit the murder. And then I run through all the major plot points. I never get stuck. The advertising background kicks in. No excuses! What kind of marketing and promotion do you do? I belong to the Cozy Chicks, a group of five mystery writers who blog and support each other. You can find us at www.CozyChicksBlog.com. My day to blog is Monday. I’m continuing the Talk Radio series and book four will be out this summer. Also adding a book to the Hollywood Nights trilogy. This one will be set in South Beach. Thanks for joining us, Mary. Before we go, is there anything else you’d like to add? Just that I’m so appreciative of my readers and I’ve made some wonderful friends through social media. 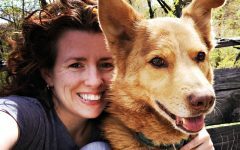 I’m always happy to connect with readers and especially animal lovers, since animals are one of my passions. Thank you so much for interviewing me! Mary Kennedy is a licensed clinical psychologist in private practice and writes the Talk Radio and Dream Club Mysteries for Penguin-Random House. She is author of over forty novels and won an award for “artistic excellence in literary fiction” from the National Endowment for the Arts. Mary lives with her British husband and six neurotic cats in the northeast and donates much of her time to animal rescue. So far, her attempts to psychoanalyze both husband and cats have proven unsuccessful, but she remains optimistic. You can visit Mary on her website.